Updated: 1:41 p.m. | Posted: 1:22 p.m.
Franken said he was taking responsibility for his behavior and that he has apologized to the women who have accused him. "I have been reflecting on this," the two-term senator said. "I want to be a better man." When asked whether other accusers may come forward, he replied that he couldn't say. "This has been a shock to me." Franken faces a Senate ethics investigation for improper conduct and hasn't been seen publicly since the first claim of misbehavior on Nov. 16. Los Angeles radio anchor Leeann Tweeden said Franken forcibly kissed her on a USO tour in 2006, before he was elected to the Senate. Tweeden also posted a photo of Franken smiling for the camera as he held his hands above her chest while she slept wearing a flak vest aboard a military plane on the same tour. Tweeden said she accepted Franken's written apology and is not calling on him to resign. On Sunday Franken called the photo "inexcusable." Regarding the alleged forced kiss, Franken said he doesn't recall it that way. Many Franken opponents and some supporters are calling on him to step down, including Minnesota State Auditor Rebecca Otto. In his interview with MPR News, Franken said he has not considered resigning. 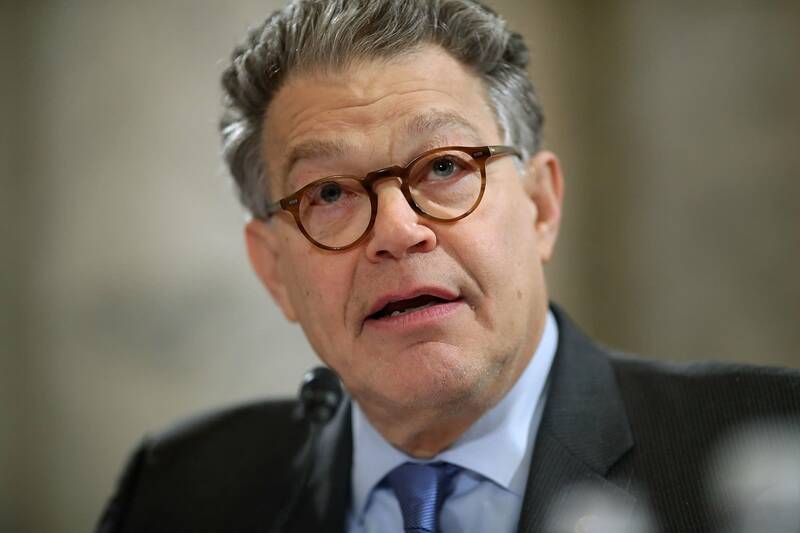 "The Ethics Committee is looking into all of this and I will cooperate fully with it," said Franken. "I know I have a lot of work to do to regain the trust of people I've let down." Franken said he will be back doing Senate work Monday and he pledged to fight the GOP tax bill and continue being an active participant in Senate hearings. Last week another woman, Lindsay Menz, said Franken squeezed her buttocks in 2010 while posing for a photo at the Minnesota State Fair. Franken, who was a senator at time, said he didn't remember the picture but expressed remorse that Menz felt "disrespected." Franken canceled a sold-out appearance in Atlanta to promote his book, "Al Franken, Giant of the Senate." Last week, his aides said he was "spending time with his family and doing a lot of reflecting." On Wednesday, the Huffington Post published a story with two women speaking anonymously about past contact with Franken that made them uncomfortable. The two allege that Franken touched their bottoms during events for his first campaign for Senate. The women spoke to Huffington Post on condition of anonymity. They said the events occurred in Minneapolis in 2007 and 2008. Franken said he would "never intentionally do that." And he underscored that he has stood for pictures with thousands of people. "I'm someone who, you know, hugs people," Franken said. "I've learned from these stories that in some of these encounters I have crossed the line for some women."